From headaches to plantar fasciitis and everything in between, Hoffart Chiropractic is happy to offer you the experience to help you achieve your health goals. "For over twenty years, I've been here encouraging people to think "long-term" and care for their bodies but also honor those who want symptom care too"
says Rocklin chiropractor, Dr. Hoffart. Dr. Hoffart continues to learn as new advances in healthcare are discovered. He is also certified in Active Release Technique (ART), an Atlas Orthogonal Provider, and experiences great success with the Gonstead Technique. Were you in an accident? 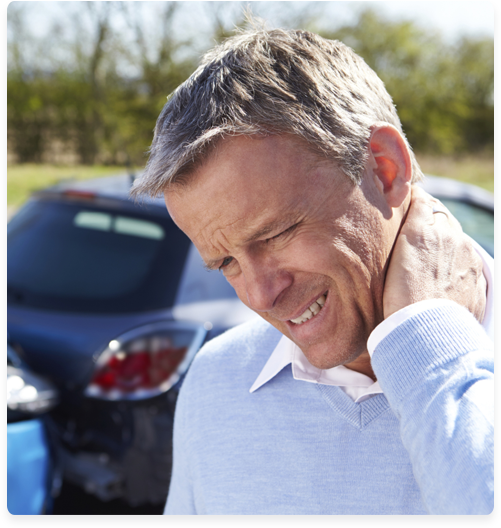 Dr. Hoffart is uniquely trained in whiplash and auto injuries, as well as providing care to athletes. To further understand the injuries of athletes, Dr. Hoffart competes in marathons and triathlons, including the 2008 Ironman in Wisconsin. lifestyle choices. Chiropractic is about much more than pain relief – it’s also about regaining optimal health and wellness. Very impressed by Dr. Hoffart’s knowledge and his care to really figure out what the cause of the problem is. After my first visit, I felt much better and regained some range of motion, which has continued to improve after each subsequent visit. I would most definitely recommend Dr. Hoffart and his staff wholeheartedly, they do an amazing job of taking care of their patients. Thanks! Great first visit, looking forward to the next. Thanks! Thanks for taking care of me. The treatment was gentle and the Dr. is knowledgeable while sharing information I can understand. From the moment I walked in the door to the moment I walked back out, I was pleased with my visit and would recommend you to anyone. Dr Hoffart & his staff were wonderful. I am so thankful that my daughter told me about him! It has been a blessing that I have found this office. I feel like I am finally getting better and able to move around again. Thanks! I left with 100% more hopeful than when I entered… which sometimes is half the battle. Thanks a lot guys I was in a lot of pain and you helped. Thanks. I really appreciate the help that Dr. Hoffart provided me! After having a nagging pain for almost two years that limited my very active lifestyle, Dr. Hoffart was able to get me on a road to recovery very quickly! Dr. Hoffart was incredibly responsive and was able to fit me in for my first appointment on very short notice. His office staff is always friendly and helpful. Thank you for making me feel comfortable when I am feeling my worst. 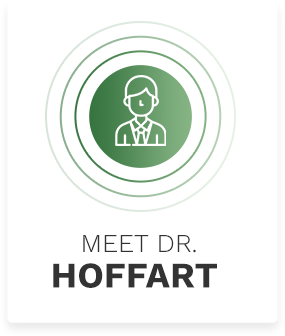 Dr. Hoffart exhibits genuine and authentic interaction with his patients. He demonstrates an excellent presence in the initial encounter and has a firm grasp of the physical implications as they relate to the presenting symptoms. The art of listening is significantly underrated, however, Dr. Hoffart has mastered this aspect of patient engagement with clarity and practicality. Great experience! I was hesitant to start with a new chiropractor since I moved, but now I’m thankful I did! The staff did an excellent job of making sure I felt comfortable and taken care of! Very impressive. Felt better after 1st visit with a pain free adjustment. I’m a new patient and was in a lot of pain, I called in for an appointment and was able to be seen by Dr. Hoffart that same morning. After my first appointment, I felt so much better. Thank you so much. I felt very welcomed and listened to by both staff and Dr.
Dr. Hoffart was very attentive and had me feeling great the second I walked out of his office. I will do the stretches he recommended and hopefully will get back on track. Overall great experience and would highly recommend. The office staff was amazingly kind! Wish more medical offices had staff like this! I am so pleased with the care I received and the office staff. I will highly recommend this office and wear my shirt proudly! Thank you! It is great to be out of pain after 2 months! 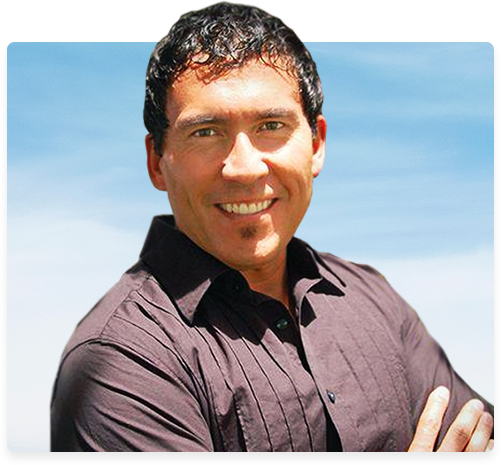 Dr. Hoffart goes beyond traditional chiropractic practice by offering complimentary programs such as ART and AO. It was a great first visit. Everyone was so friendly and nice. Thank you very much. My experience with you guys is painless and I like that. Very friendly and cheerful staff. Dr. Hoffart explained what he was doing, and after my first visit I knew his treatment was benefiting me. Very friendly and competent staff. One of the best Chiropractors I have ever been to. I would highly recommend Dr. Hoffart. So happy I can bend over again without cringing! Front staff is incredibly welcoming and Dr. Hoffart was able to not only pinpoint my pain. He doesn’t just fix the one part, he works to get all the muscles working so that the body is fully working together like a symphony. So happy I have a place I can go where I understand the problem and then it’s solved. Dr. Hoffart exceeded my expectations in my first visit. I am extremely hopeful he is my last stop after a year of pain and frustration. I left feeling like i should have visited him years ago when I met him! I really like the team here they really made my son feel at home and I would come back and I would refer another person that got into a car accident to this chiropractor. I come from Idaho to see Dr. Vince Hoffart. As far as I am concerned there is no other that can beat the care you get from him. I have been in a lot of pain for a long time and could not wait to get here. One visit pain gone, no more pain meds. Thank you Dr. Hoffart and staff. I very much enjoyed my first visit and learned a great deal from my discussions with Dr. Hoffart. I’m looking forward to his therapy. Dr. Hoffart is very knowledgeable about my condition. He is a professional. Everybody was very nice and friendly. I appreciate the fact that it’s not the “standard” chiropractic methods. My wife is already considering switching chiropractors just because my first visit was so positive. I can’t thank your entire staff enough for helping me out of a sticky situation. It was my first visit and you recognized my needs and addressed them as if we’d known each other for years. That is the sign of true skill and talent. Thank you Dr. Hoffart and staff! All the people in this office are caring, helpful and considerate. I highly recommend seeing Dr. Hoffart if you are in pain! Love the practice and all staff. Feeling very confident in Dr. Hoffart that he will get me to 100% soon! The staff is very kind. At first I was sketchy. Not sure if this will work for me. But to my surprise, it has and I am very pleased and happy with the results. Thank you! Spent a lot of money and time with other doctors and Dr. Hoffart has had the most impact on my muscle tension in my neck and shoulders. Cool People and great attitude. I am making progress and I am thankful. Hoffart Chiropractic has got to be the happiest group of employees ever! 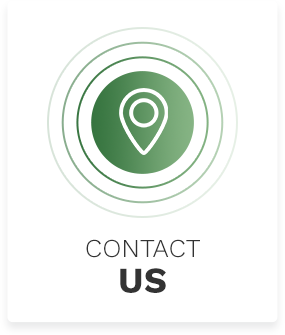 Very kind, knowledgeable, efficient and EFFECTIVE! Very impressed with everything and everyone! Very pleased and happy and would highly recommend Hoffart Chiropractic. Highly recommend Dr. Hoffart and staff!!! Office makes you feel right at home!!! Thank you. Very professional (entire staff), professional atmosphere, attentive group (way to happy for a Monday morning !). Have already referred a friend ! Rebecca at the front desk is super friendly and helpful. I felt very comfortable with Dr. Hoffart from the very beginning. He took his time explaining my x-rays to me. Office was clean and organized. Looking forward to feeling better and I know I came to the right doctor to make it happen. The staff and doctor were very pleasant and helpful. They explained the procedure clearly and answered every question I had. The staff and doctor are fantastic and I can’t believe how quickly my problem is being solved. A great group of very helpful people. I have all the confidence in the world, that they will help me with my problem. Thanks again. Looking forward to my next visit. Don’t know which I liked better, the staff or the DR. Both were top of the class!! I can’t believe what fast relief I received. Thank you. I am very happy that I found Dr. Hoffart! I have already recommended him to several friends and clients! Great chiropractor, visit was amazing and I felt better after just the first visit. I am definitely going back to keep myself healthy. Thank you for your entire staff’s attitude and approach! I was immediately comfortable and based on your clear explanations and gentle treatments, I’m confident about my ultimate outcome! I am having much less pain – thank you! I left feeling so hopeful that Dr. Hoffart’s caring help and professional expertise was exactly what I needed. I felt less pain than I have in a long time and I’m so thankful for your help. Very professional! Rebecca was great, she was very accommodating and made me feel very welcome. I am really excited about Dr. Hoffart being my chiropractor. He did a thorough exam and pinpointed my problem areas. I am confident he will help me stay injury free. Wow! My first experience with you was outstanding. I’m so glad I found you! Thank you so much! I’ve had great results. GREAT experience! I am so appreciative to you, Dr. Hoffart and your wonderful staff!! They are both wonderful and so friendly and welcoming. I know I am in good hands! The staff at the clinic are super friendly, attentive and will make you feel very welcome. I had a very rewarding experience and will definitely recommend. 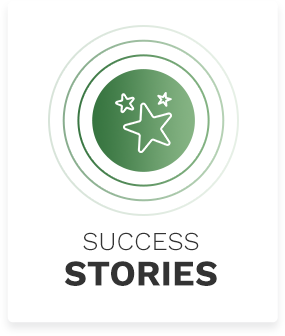 I was so impressed with both the staff and the level of care I was given right from the start. Injuries bring a lot of emotions and upon leaving I felt taken care of and hopeful of a return back to health. Dr. Vincent KNOWS his stuff and immediately goes into problem-solving mode. I couldn’t recommend this team more highly. I will definitely be recommending your offices to whoever needs a great chiropractor! 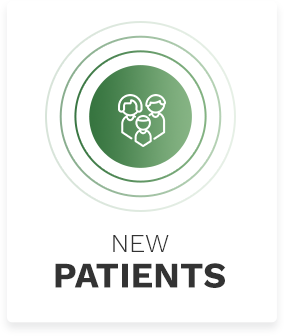 The staff was wonderful and I really appreciated the online appointment system – I was seen right on time and my issue was addressed during the first visit with a possible follow-up if needed. Great team! I felt very welcome and comfortable! Dr. Hoffart seems very knowledgeable, though, and one Atlas adjustment made a more radical difference for me than any other series of adjustments I’ve ever had done (and I’ve been getting chiropractic for over 10 years).